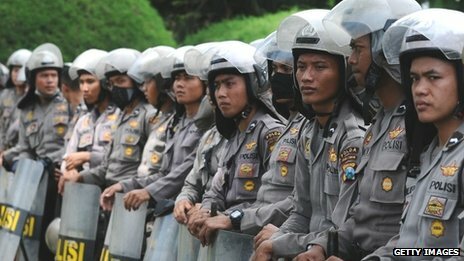 Workers across Indonesia have begun a two-day strike demanding higher salaries, the latest industrial action to hit the South East Asian economy. According to unions' estimates, almost three million workers will take part in the industrial action. However, the actual numbers have come in lower than their forecasts in previous nationwide strikes. 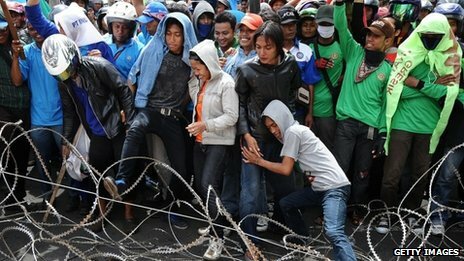 "All factories in Java's industrial hubs have stopped," Said Iqbal, chairman of the Confederation of Indonesian Workers Union, was quoted as saying by the AFP news agency. "Many workers who could not afford their rents have had to move out of their homes and live under bridges and in sewers. They are eating instant noodles instead of rice," he added. Indonesia has been one of the fastest growing economies in the region. The success of its manufacturing and mining sectors, powered by a low-cost labour force, has been a key driving force behind its expansion. 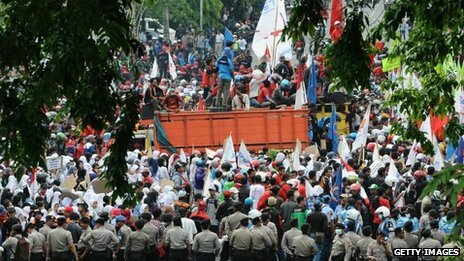 However, as its economy has grown so have the strike actions by Indonesian unions who have been demanding higher wages and a greater share of the country's prosperity. The actions have seen minimum wages rise in the country. Workers in Jakarta this year received a 44% jump in minimum salaries to 2.2 million rupiah ($200; £123) per month, and there have been hikes in other parts of the country as well. 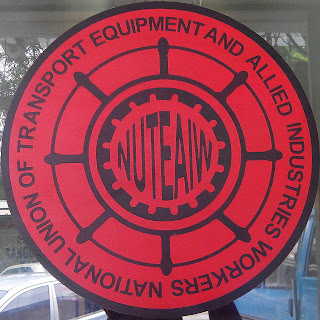 However, there are growing concerns that as workers demand even higher wages, profits at manufacturing facilities in the country may be hurt. The worry among some is that a decline in profits, coupled with increasing strikes and a recent slowdown in Indonesia's economy, may see foreign investors stay away and further hurt the country's growth.